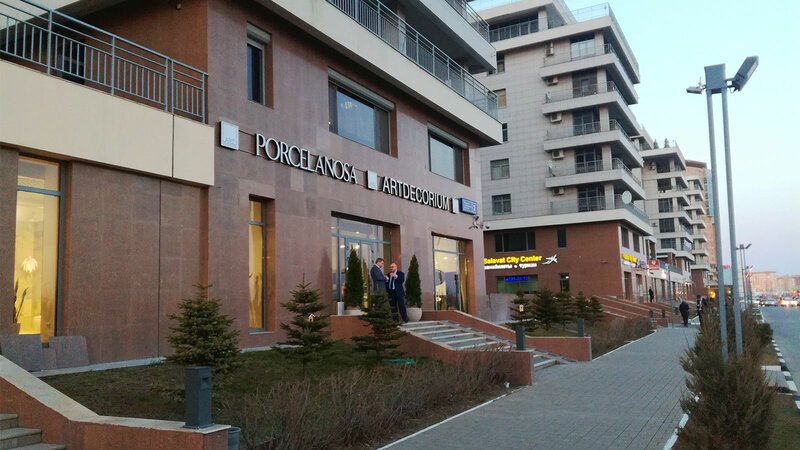 Its continuous research into new formulae and technologies applied to the building materials have made Butech become a leader in the architectural sector. 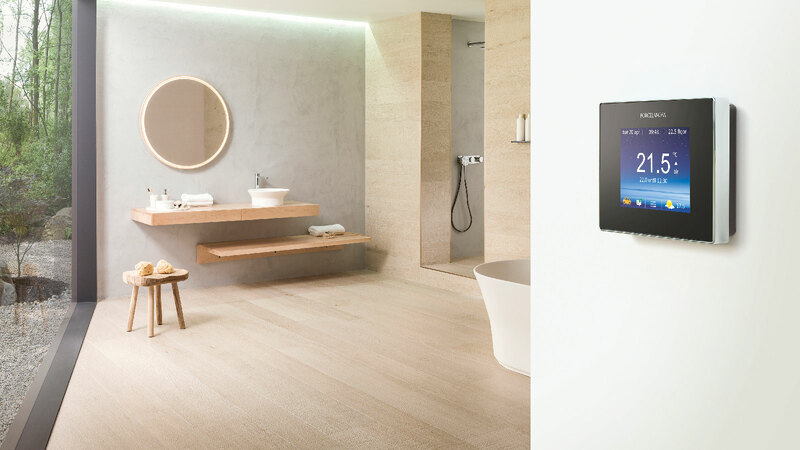 The Shower Deck shower tray, the under-floor heating and the new decorative profiles were just some of the latest designs that were presented by firm from the PORCELANOSA Grupo at Cersaie 2018. The Shower Deck shower tray by Butech is characterised by a ceramic finish which drains water through the open shower joints. It is compatible with Par-Ker and Starwood, and it can incorporate STON-KER and Urbatek, too. 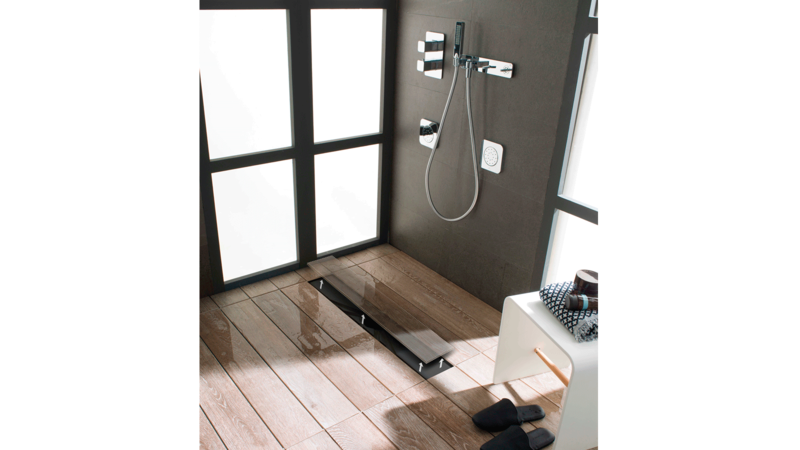 Shower Deck offers an innovative system which entirely integrates the shower tray into the bathroom floor without any changes regarding materials, slopes or grilles. This method gives the space aesthetic continuity and total accessibility. 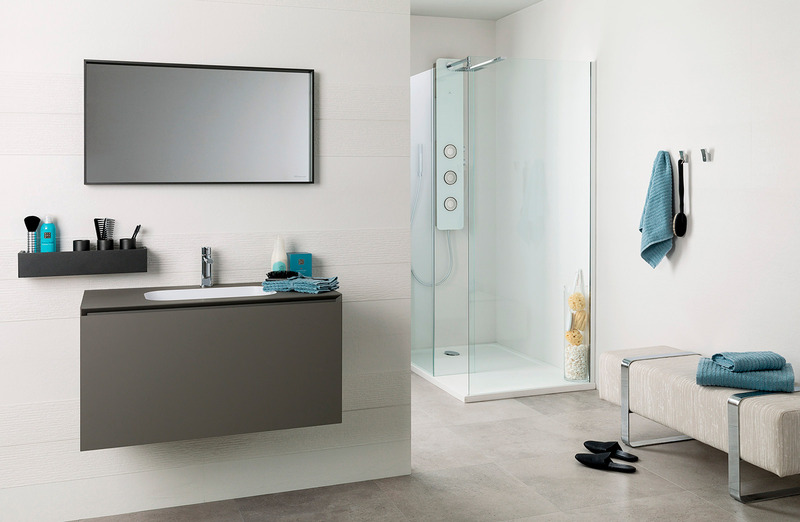 It turns out to be the ideal solution for those bathrooms adapted to people with reduced mobility. 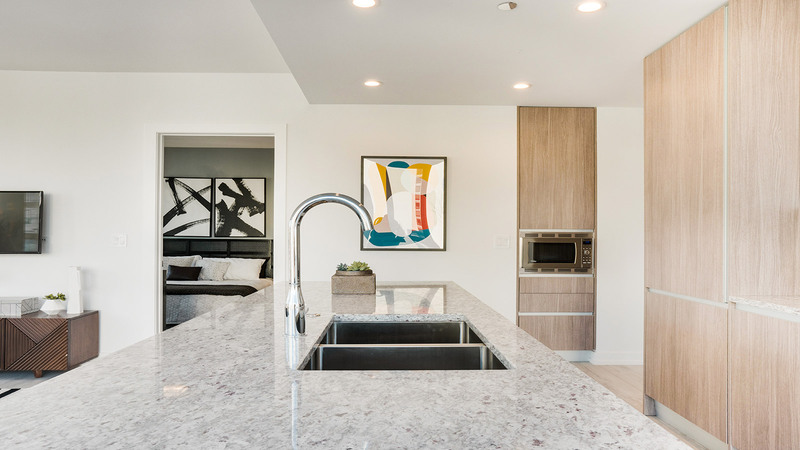 The under-floor heating provides the interior spaces with warmth through its uniform heating system for floors. Its 2mm radiant mesh makes its installation easier in refurbishing work and also enhances the mesh guarantee. Similarly, the intelligent thermostat can be controlled by means of a Smartphone. 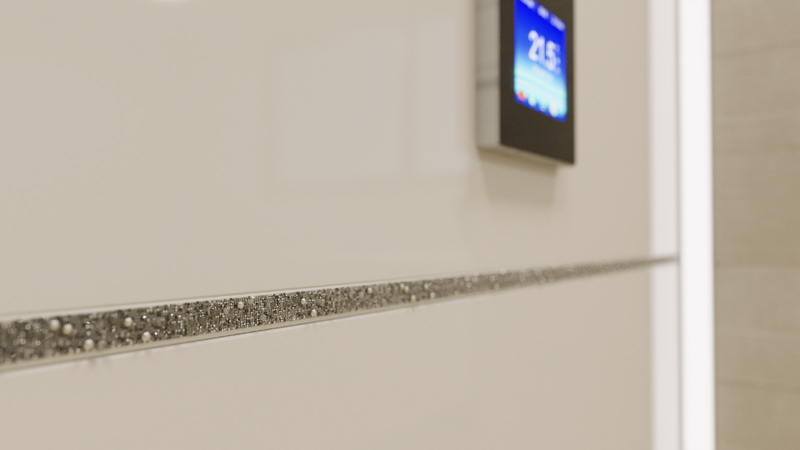 The SmartGeo™ system makes it possible for the home to maintain a suitable temperature. Its easy use and adaptation to the characteristics of each house make it become a Premium product. The decorative profiles for ceramic wall tiles which were showcased at Cersaie 2018 represent the most exclusive side from the PORCELANOSA Grupo. 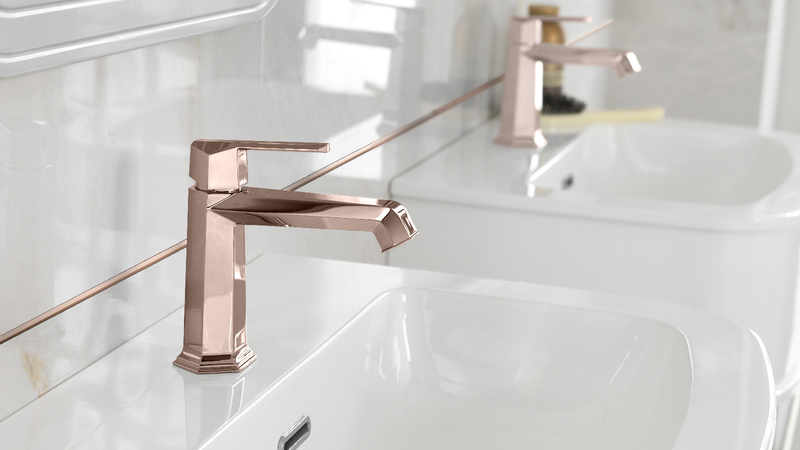 The Rosé Collection, in a pale pink tone and a matt finish, is available in a smooth and brushed finish. 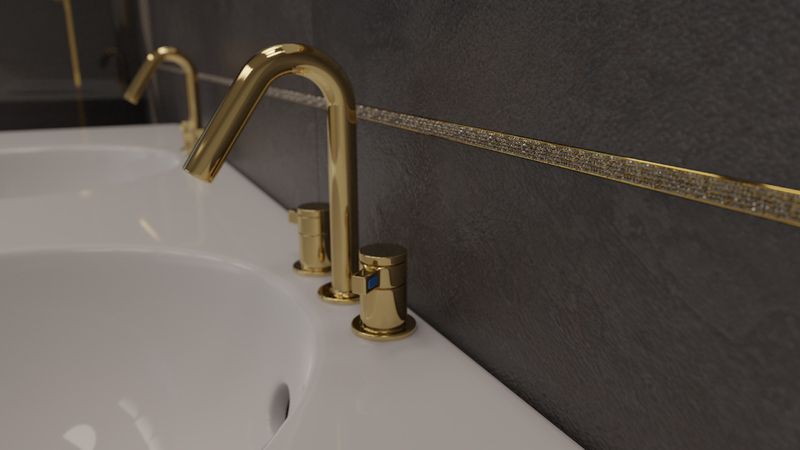 The decorative reliefs with the Swarovski Crystal Collection applications are renovated with Pro-part Li Crystal Graphite Gold, which combines gold with the deep black from the graphite and Pro-part Li Crystal Galuchat, which has been inspired by the most exclusive leathers. 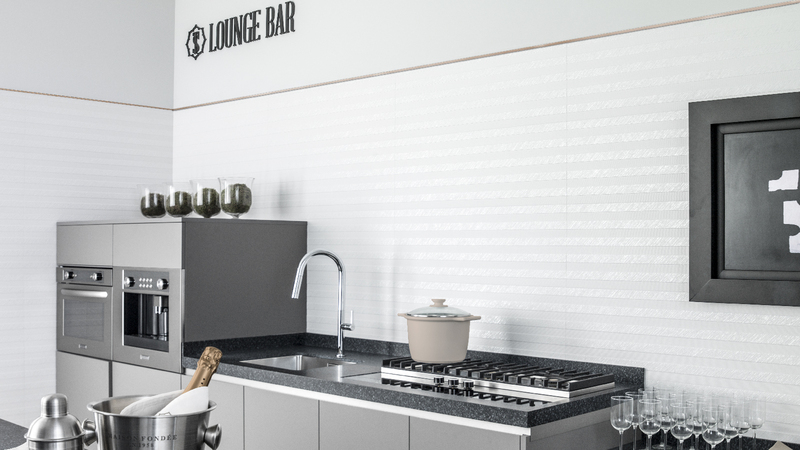 Lastly, the Texture Collection offers a real touch experience with light relief in a matt finish. Digital immersion through all the senses.